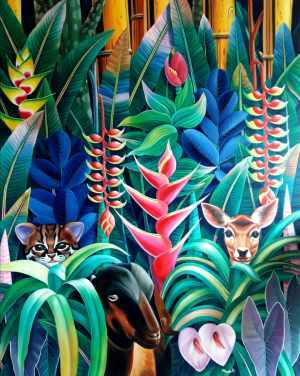 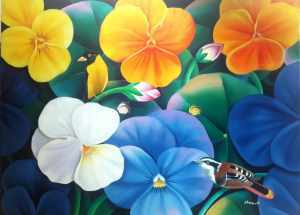 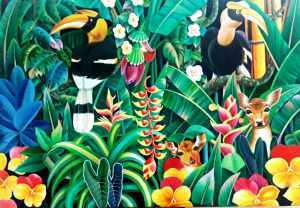 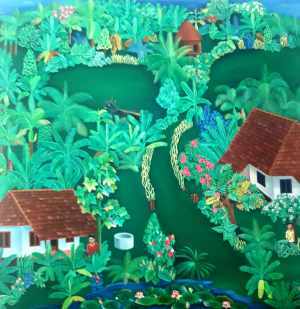 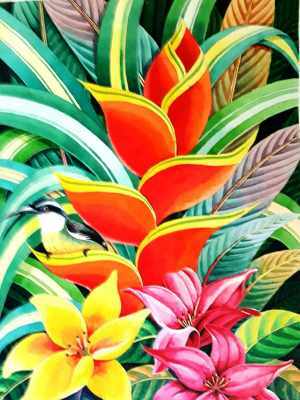 This colorful floral landscape artwork provides us with a realistic view of the Flora and Fauna. 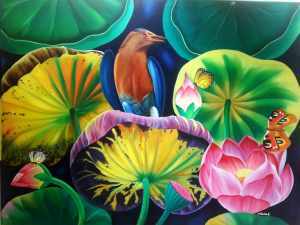 The artist has used bright colors to make the artwork more interesting and attractive. 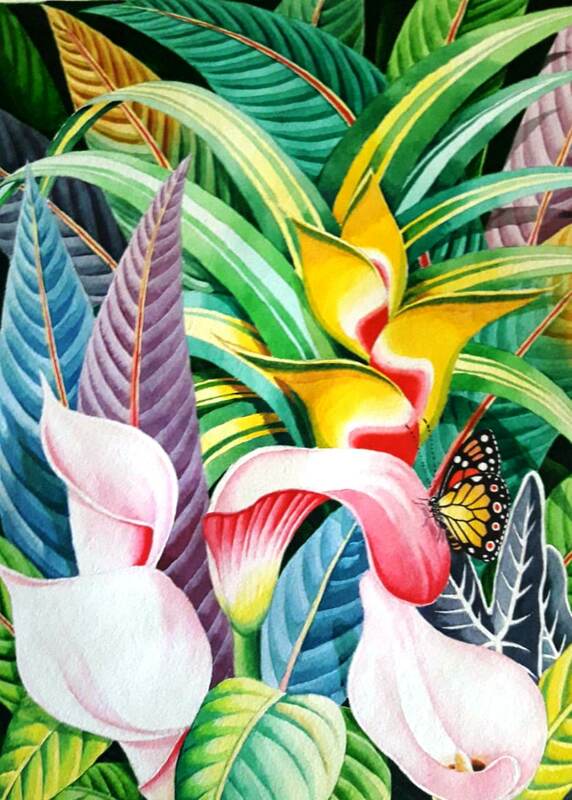 He has used watercolor to create this amazing artwork.